Manuka Smoked Black Peppercorns. 110gm. Home > Spices > Manuka Smoked Black Peppercorns. 110gm. Aroma & flavour. 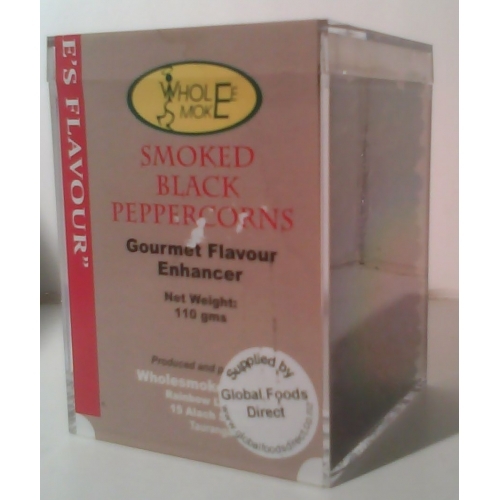 Freshly ground onto to any fried, grilled, BBQ, meats or fish will give off wonderful pungent pepper and subtle smoke aroma. Use to enhance soups, sauces, stock, bacon & eggs and most hot foods.